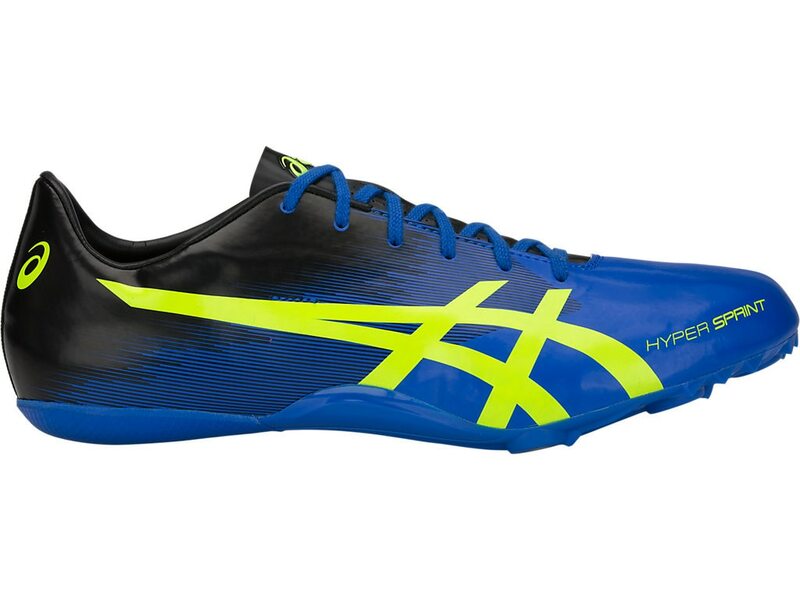 Engineered to run fast, the HYPERSPRINT is a lightweight track and field shoe, perfect for athletes running sprints of up to 400m. It features a vibrant upper pattern, intended to mimic fast movement, a rigid forefoot PU plate for stability, and a rubber heel for added grip. This shoe also includes a wrench and 6mm pyramid spikes as an optional running platform.